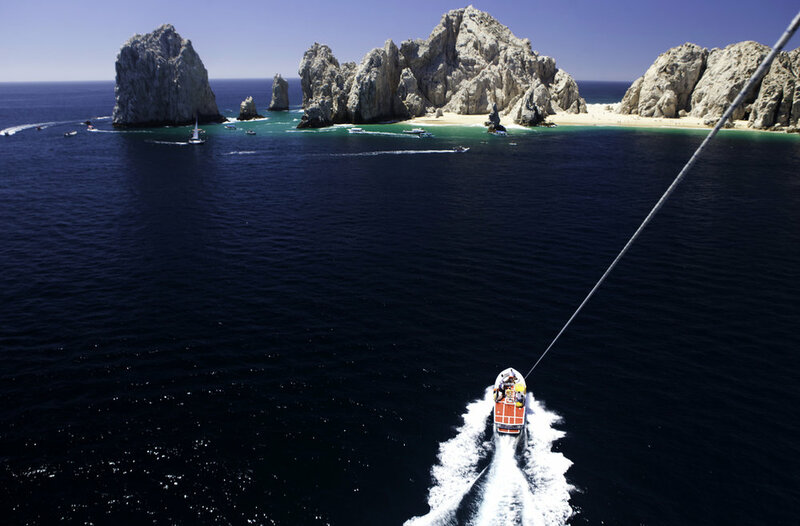 Keep the beautiful experience of flying with our go pro photo package on the Parasailing Activity! Ask for the photo package at the check-in time. Our team will provide you a form / receipt, which will allow us to get your contact information. Show the form to the Parasailing Crew. At the time of your flight they will provide you with a go pro camera on a selfie stick. The camera will be programed to take pictures every 10 seconds automatically. 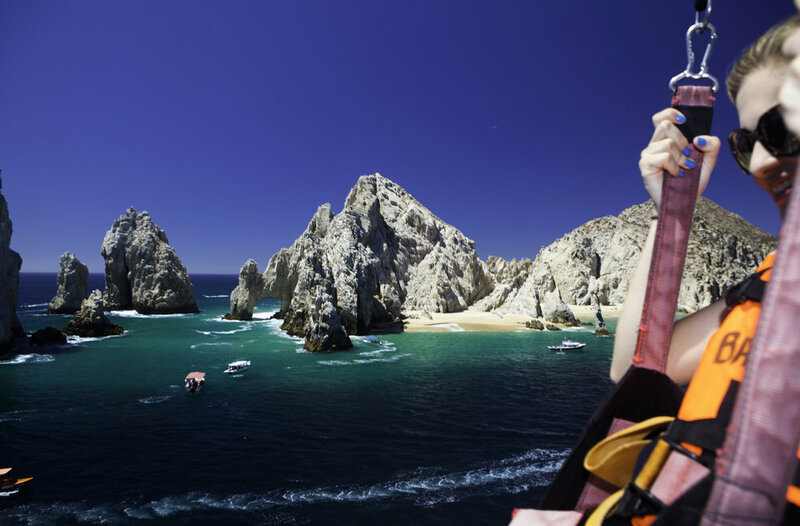 Enjoy your flight and move the camera around to get amazing views of Cabo San Lucas Bay. You will receive a download link to the email provided 24 to 48 hours after your activity. I haven't received my photo album yet! It has already passed 48 hours and you have not received your photo package, You are already back home expecting the amazing pictures but there's no email from us? This can happen when there is a mistyping error or the form is illegible, it could also be the security on your email provider which blocks our picture emails and send them to the junk mail folder. Make sure to check the folder to identify some security issue. If you already checked all your folders and still no email from us, please contact us at photos@bajaswatersports.com or fill the formulary. Don't worry! we keep all albums on file, in case this situations happen and we can always resend them.